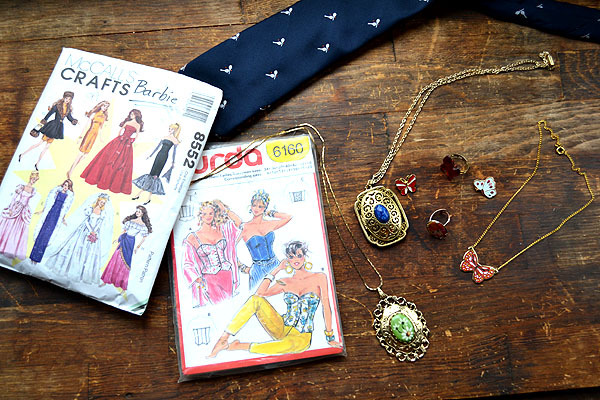 dressed up like a lady: A few treasures. 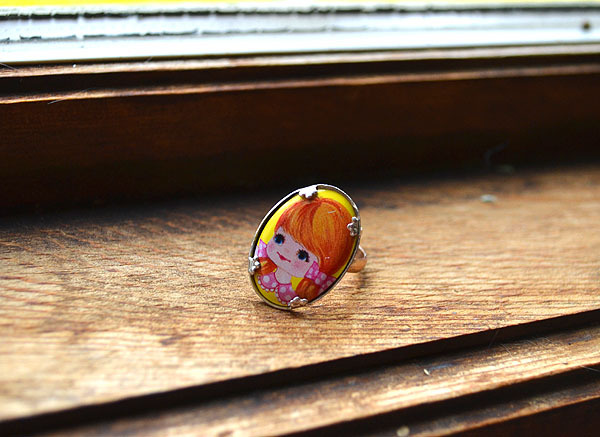 We scored some lovely, cheap treasures at Mix Marketplace a few weeks ago, including a sweet ring for my stepdaughter with the face of a little girl that looks not at all unlike one of her Blythe dolls, and thus, not at all unlike the beautiful child herself -- big blue eyes and all. This past weekend was stuffed full of wonderful visits with family, a hunt for treasures hidden by the Easter Bunny, and a fitting for my wedding gown that could not have been any more delightfully awesome. DYING for the unveiling of the dress. How much time til the weddding again?